Have questions or need to schedule an appointment? We strive to set the standard for excellence when it comes to your oral health. It all starts with listening to you and your concerns and creating a treatment plan as a team which best achieves the agreed upon goal. We utilize the finest quality materials available. Our dental laboratories, which are in Austin, are custom fabricating all their restorations in house using the highest quality materials and finest metals available. Dr. Woolwine and his team believe in relationship building and lasting friendships with our patients. Every patient benefits from a comprehensive dental exam. Our team considers your personal history, present conditions, and your future needs and expectations when treating you. Our goal is to provide you with the tools to maintain optimal health. Good restorative dentistry is more than excellent clinical skills. We feel that mutual trust and respect are important factors in the success of your treatment. We believe that open communication can help build trust and we all work hard to make sure that our care is deserving of our patients respect and confidence. We will explore treatment options together, taking time to answer all of your questions completely and respect your decision regarding your treatment. 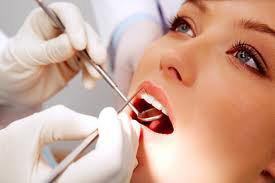 We use a comprehensive approach that integrates the best possible occlusal or bite function with personalized esthetic treatment options We utilize advanced technology, including intra-oral cameras and laser technology so we can detect problems early and your treatment can be as conservative as possible. These tools can help us see problems before they even show on digital x-rays which allows for earlier diagnosis of problem areas and a more conservative treatment plan. © 2012 Michael V. Woolwine D.D.S.